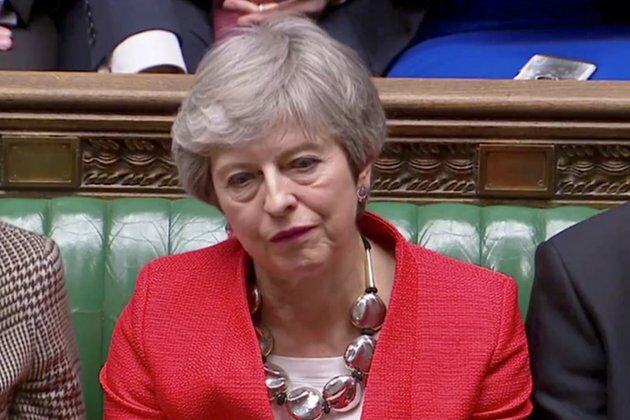 British Prime Minister Theresa May says she does not have enough support in parliament to hold a third vote on a deal for Britain's exit from the European Union. 'But I also indicated that I was continuing to talk to colleagues across this House [of Commons], and I would hope to be able to bring back a vote in this House that enables us to guarantee Brexit,' she told parliament. May's proposed deal for Britain to leave the European Union has been rejected twice. At present, Britain is set to leave the bloc without a deal on April 12 an outcome which May has said she will avoid. May said that she is 'skeptical' that indicative votes for alternative Brexit plans would provide a clear path to the divorce. Northern Ireland's DUP and many other lawmakers oppose May's Brexit deal because of the Irish backstop clause a proposal that would prevent a physical border between Ireland (which would remain a member of the EU) and Northern Ireland (part of Britain). May has come under increasing scrutiny, facing calls to step down even from within her party, as the country's exit from EU proves complicated.